Victor sprang up well after the big Pike's Peak Gold Rush (1859) was over. At that time, small bodies of gold ore were found all over the place, which led to mine shafts being sunk all over the place. And in typical mining fashion, when the ore ran out, so did the miners, leaving their equipment, constructions, heavy-metal-contaminated tailings, and miscellaneous other debris all over the place. 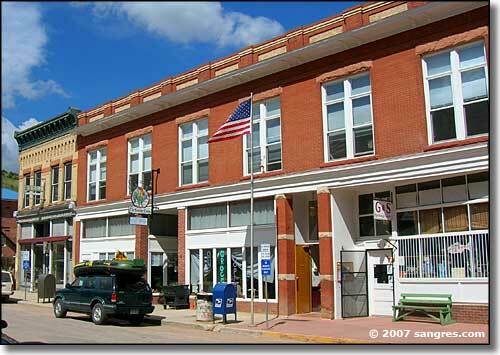 Some folks call it "quaint" and charge tourists a few bucks each to "share in the experience." Other folks call it an environmental disaster on a grand scale. I'm not going to take sides on this one (back around 1997, the pristine wilderness that I live in the heart of was turned into a massive coalbed-methane project with about 1 gas well per 40 acres - I don't like it because they poisined whatever water is still left in the ground but they fixed our roads and the royalty checks pay my mortgage every month). 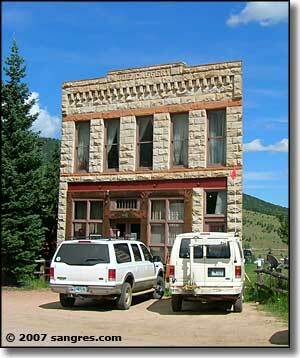 But what really built Victor was the discovery of the Independence Lode in 1891. That lead to a huge influx of miners and their "support" groups: merchants, freighters, barkeeps, "soiled doves," etc. The Independence Lode turned out to be one of the largest gold finds in history, and sections of it are still being worked. There was a large miners strike in 1894 that succeeded in polarizing the miners and the mine owners and operators. Another big strike in 1903 was so violent that it marked the beginning of real hostilities in the Colorado Labor Wars (a domestic war that continued right up to the beginning of World War I). The WFM's union hall in Victor still displays bullet holes in the walls from those times. Colorado's governor at the time, James Peabody of Canon City, dispatched the Colorado National Guard specifically to support the mine owners in breaking the back of the union. Eventually, though, the public rallied in support of the miners and the governor's office changed hands. But the final demand of the miners (safer working conditions) wasn't met until the state started enforcing previously passed mine safety regulations in the 1920's (and mine owners all over Colorado responded by closing down their mines). Over the years, ore bodies petered out, mining operations wound down and the population dwindled. There was an upturn in gold mining in 1934 when the government raised the price of gold to $35/ounce but all gold mining was stopped during World War II because it was "non-essential" to the war effort. 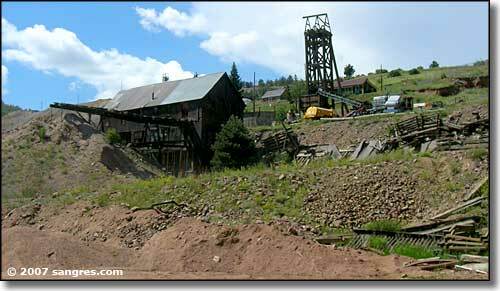 Some mines reopened in 1946 but almost everything in the district was closed by 1961. The Cripple Creek & Victor Gold Mining Company jump-started mining again in 1976 by working 2 small surface deposits and reworking old tailings. Between 1976 and 1989 that produced some 150,000 troy ounces of gold. The company began a large-scale open pit operation in 1994. Victor hit a historic low in the early 2000's but is now starting to come back. AngloGold Ashanti now owns the huge open pit mine just up the hill above Victor and they are producing about 330,000 troy ounces of gold per year (in the topmost photo on this page you can see that modern mine's tailings above the townsite). 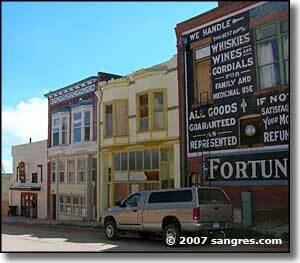 Other than that, Victor looks to be primarily a touristic center. I'm told there are a fair number of artist types in the area, too. 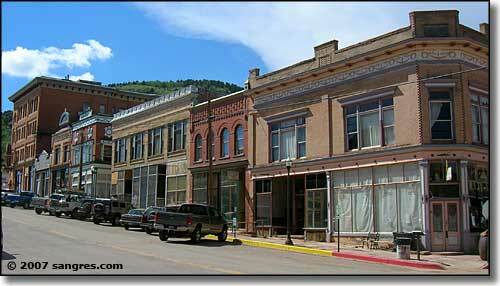 And Victor, unlike Cripple Creek, is not a center for Colorado's Limited Stakes Gambling. 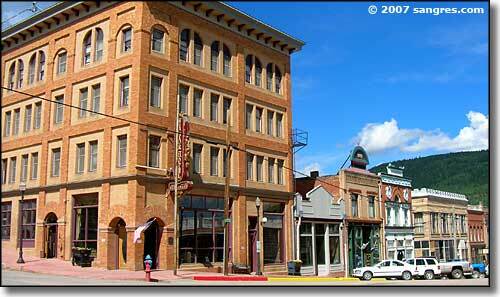 From these photos you can see that nearly everything close to downtown was built during the Victorian era with the most modern construction being the Victor Hotel (there was fire that destroyed much of the town in 1899 and most of the buildings were rebuilt shortly after that). 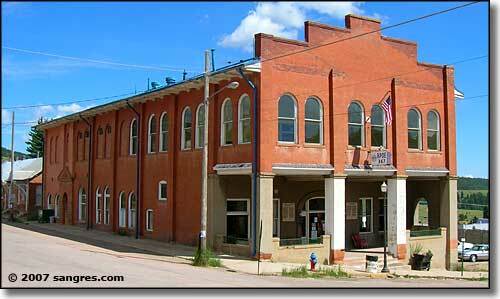 The Masonic Temple was an interesting building but it doesn't look as if it sees much use these days. There was a plaque in front of the Masonic Temple telling about a church that used to be across the street: apparently it was most famous because of its prominent position in the video scenery that was the backdrop for the opening credits of "The Outer Limits," the 1960's version (the building was condemned and torn down in 2000). 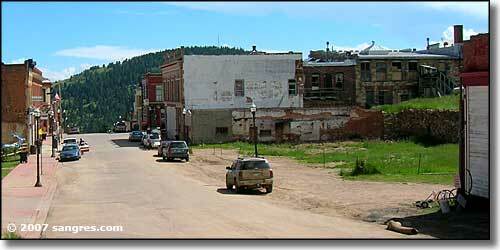 I drove into Victor via the Phantom Canyon Road, part of the Gold Belt Scenic Byway. 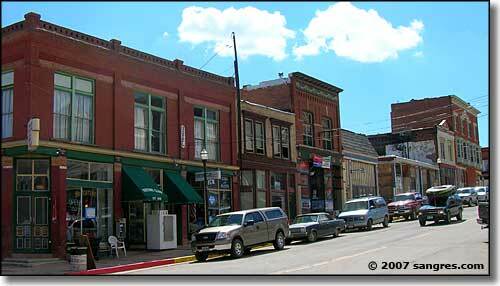 I left town and headed to Cripple Creek on State Highway 67. 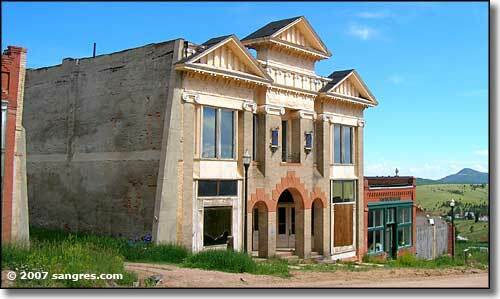 When I left Cripple Creek I came back towards Victor on SR 67 but made the turn at Anaconda that took me down onto Shelf Road and then back down the "hill" to Cañon City. Except for the mining debris, it is an absolutely gorgeous area. And I was very pleasantly surprised by what I found along the way on both the road in and the road out.